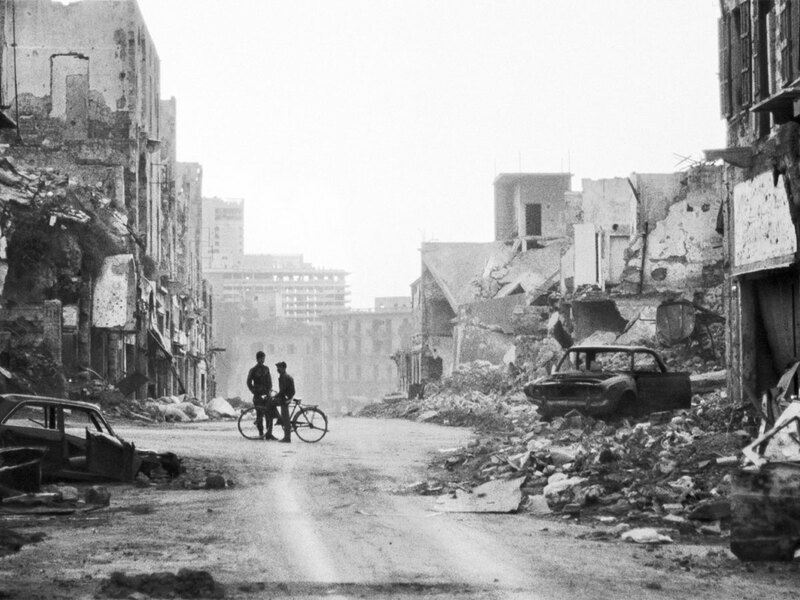 Beirut: Saturday marks the 44th anniversary of the Lebanese Civil War; a tragic episode in the modern history of the Middle East, which lasted for 15 years and killed 120,000 people and the displacement of one million Lebanese citizens. Buildings riddled with gunfire can still be readily spotted in Lebanese capital, which marked the borderline between what came to be known as East and West Beirut. Gulf News spoke to a new generation of Lebanese students, all born after the guns went silent in 1990, asking what that conflict means to them, and how it affected and continues to shape their lives. “Socio-economic relationships, even at the lower levels of our society, are still directly influenced by the undertones that have been prevalent in Lebanon since the war,” said Salah Ghazzal, a 22-year old political science student at the American University of Beirut (AUB). I understand the toxicity of the war-time politics. Unfortunately, it still occurs today. “The Lebanese civil war was pointless,” says Tony Mrad, 22, studying journalism and communication at St Joseph University in Beirut. The Lebanese civil war was pointless. They (the country’s leaders) didn’t take advantage of it in order to ameliorate the political situation in Lebanon. However, it is a tool to judge our political leaders in order to improve their performance. One of those leaders is Walid Junblatt, 70, hereditary chief of the Druze community in Lebanon and beyond. He inherited the job from his father Kamal, who was one of the founders of Lebanon’s independence, gunned down early into the Civil War. Always referred to as “Walid Bey,” even by the post-war generation, he still commands an army of loyalists, scattered throughout high schools and university campuses. “Walid Junblatt is a cross-generational leader,” says Sami Nasr, a student at the Lebanese International University. He was born eight years after the war, and more than twenty after Junblatt became leader of the Druze. The same affection is felt by Johnny Yamine, 21, a member of the Christian Marada Movement, ruled by ex-interior minister and MP Sulaiman Frangieh. I follow my leader Walid Junblatt because he carries the Druze causes and fights for them. Scion of a leading Maronite family in Zhorta, his grandfather and namesake was president of the republic when the civil war broke out while his father was shot dead at the start of the war, killed by Samir Gagegea. Yamine, now aged 21, was born two decades after Frangieh inherited leadership in the Maronite community, back in 1977. “I’ve often heard my mother yelling out words of caution if the destination of my outing was an area predominated by a certain sect,” said Omar Kanawati, 24, a recent AUB graduate. The name “Omar,” after all raises eyebrows—and guns—in Shiite circles. My mother sometimes calls me by a different name if I am in a Shiite area. The war caused deep distrust. The Lebanese Civil War was triggered by the gross violations of the Palestinian Liberation Organization (PLO), which was using the tiny Mediterranean country as a launching pad for its military operations against Israel, causing widespread resentment among Christian political parties that demanded an end to Palestinian militancy and tutelage in Lebanon. By the mid-1970s, Palestinians had numbered 400,000 in Lebanon and were accused of creating a “state within a state” with their own laws, arms, police, and security service, all commanded by their leader Yasser Arafat. 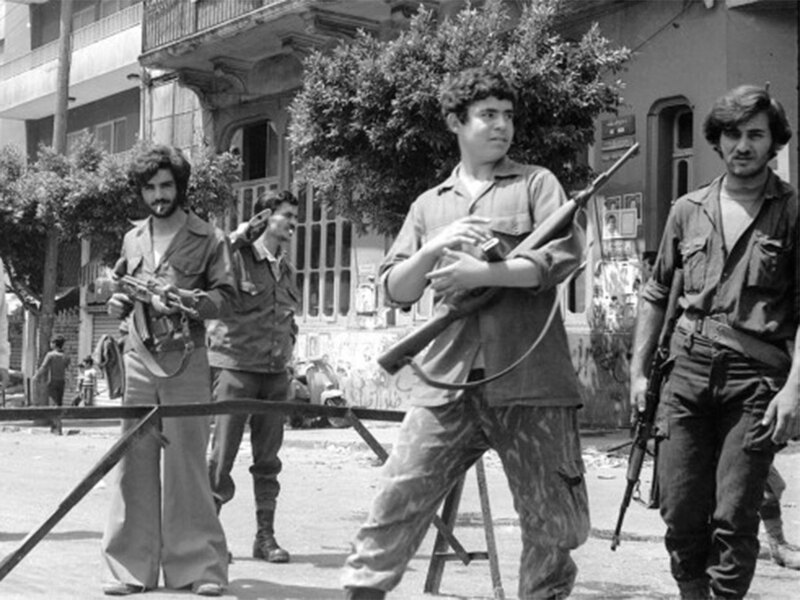 On the morning of 13 April 1975, an unidentified militiaman opened fire on a church in the Ain Al Rummaneh neighborhood of East Beirut, killing four people. Two of them were members of the Christian Phalange Party of Pierre Gemayel and his son, Bashir. The Phalangists took immediate revenge, killing 30 Palestinians aboard a bus passing through Ain Al Rummaneh. By end of May, the Syrian Army was called into the Lebanese battlefield, asked to protect the Christians against Arafat. Roadblocks were set up by rivaling militias, shooting people for based on their religion. Six years later, the Israeli Army rumbled into Beirut, fully occupying the city also promising to put an end to Palestinian rule in Lebanon. Accused of facilitating the Israeli invasion of Beirut, Bashir Gemayel—just elected president of the country—was killed by pro-Syrian militias in September 1982. In a revenge attack, the Phalangists carried out an infamous massacre in the villages of Sabra and Shatila, slaughtering anywhere between 3,500-5,000 Palestinians. That same year, Hezbollah emerged as an off-shoot of the Shiite militia Amal, headed by current Parliament Speaker Nabih Berri. The cycle of violence continued non-stop, eventually leading to a “war of elimination” within the Christian community, between Samir Gagegea of the Lebanese Forces and current president Michel Aoun, who was appointed prime minister in 1988. Both men are still at the helm of Christian politics in Lebanon.